The cinema of Mainland China is one of three distinct historical threads of Chinese-language cinema together with the cinema of Hong Kong and the cinema of Taiwan. Cinema was introduced in China in 1896 and the first Chinese film, Dingjun Mountain, was made in 1905, with the film industry being centered on Shanghai in the first decades. The first sound film, Sing-Song Girl Red Peony, using the sound-on-disc technology, was made in 1931. The 1930s, considered the first "golden period" of Chinese cinema, saw the advent of the Leftist cinematic movement and the dispute between Nationalists and Communists was reflected in the films produced. After the Japanese invasion of China and the occupation of Shanghai, the industry in the city was severely curtailed, with filmmakers moving to Hong Kong, Chongqing and other places, starting a "Solitary Island" period in Shanghai, referring to the city's foreign concessions, with the remaining filmmakers working there. Princess Iron Fan (1941), the first Chinese animated feature film, was released at the end of this period. It influenced wartime Japanese animation and later Osamu Tezuka. After being completely engulfed by the occupation in 1941, and until the end of the war in 1945, the film industry in the city was under Japanese control. After the end of the war, a second golden age took place, with production in Shanghai resuming, with films such as Spring in a Small Town (1948), named the best Chinese-language film at the 24th Hong Kong Film Awards. After the communist revolution in 1949, previous and some foreign films were banned in 1951, and movie attendance increased sharply. During the Cultural Revolution, the film industry was severely restricted, coming almost to a standstill from 1967 to 1972. The industry flourished following the end of the Cultural Revolution, including the "scar dramas" of the 1980s, such as Evening Rain (1980), Legend of Tianyun Mountain (1980) and Hibiscus Town (1986), depicting the emotional traumas left by the period. Starting in the mid to late 1980s, with films such as One and Eight (1983) and Yellow Earth (1984), the rise of the Fifth Generation brought increased popularity to Chinese cinema abroad, especially among Western arthouse audiences, with films like Red Sorghum (1987), The Story of Qiu Ju (1992) and Farewell My Concubine (1993) winning major international awards. The movement partially ended after the Tiananmen Square protests of 1989. The post-1990 period saw the rise of the Sixth Generation and post-Sixth Generation, both mostly making films outside the main Chinese film system and played mostly on the international film festival circuit. Following the international commercial success of films such as Crouching Tiger, Hidden Dragon (2000) and Hero (2002), the number of co-productions in Chinese-language cinema has increased and there has been a movement of Chinese-language cinema into a domain of large scale international influence. After The Dream Factory (1997) demonstrated the viability of the commercial model, and with the growth of the Chinese box office in the new millennium, Chinese films have broken box office records and, as of January 2017, 5 of the top 10 highest-grossing films in China are domestic productions. Lost in Thailand (2012) was the first Chinese film to reach CN¥1 billion at the Chinese box office, Monster Hunt (2015) was the first to reach CN¥2 billion, The Mermaid (2016) was the first to CN¥3 billion and Wolf Warrior 2 (2017) is currently the highest-grossing film in China. China is the home of the largest movie & drama production complex and film studios in the world, the Oriental Movie Metropolis and Hengdian World Studios, and in 2010 it had the third largest film industry by number of feature films produced annually. In 2012 the country became the second-largest market in the world by box office receipts. In 2016, the gross box office in China was CN¥45.71 billion (US$6.58 billion). The country has the largest number of screens in the world since 2016, and is expected to become the largest theatrical market by 2019. China has also become a major hub of business for Hollywood studios. In November 2016, China passed a film law banning content deemed harmful to the “dignity, honor and interests” of the People’s Republic and encouraging the promotion of “socialist core values", approved by the National People’s Congress Standing Committee. Motion pictures were introduced to China in 1896. The first recorded screening of a motion picture in China occurred in Shanghai on August 11, 1896, as an "act" on a variety bill. The first Chinese film, a recording of the Peking opera, Dingjun Mountain, was made in November 1905 in Beijing. For the next decade the production companies were mainly foreign-owned, and the domestic film industry was centered on Shanghai, a thriving entrepot and the largest city in the Far East. In 1913, the first independent Chinese screenplay, The Difficult Couple, was filmed in Shanghai by Zheng Zhengqiu and Zhang Shichuan. Zhang Shichuan then set up the first Chinese-owned film production company in 1916. The first truly successful home-grown feature film was Yan Ruisheng (閻瑞生) released in 1921. During the 1920s film technicians from the United States trained Chinese technicians in Shanghai, and American influence continued to be felt there for the next two decades. It was during this period that some of the more important production companies first came into being, notably Mingxing ("Star") and the Shaw brothers' Tianyi ("Unique"). Mingxing, founded by Zheng Zhengqiu and Zhang Shichuan in 1922, initially focused on comic shorts, including the oldest surviving complete Chinese film, Laborer's Love (1922). This soon shifted, however, to feature-length films and family dramas including Orphan Rescues Grandfather (1923). Meanwhile, Tianyi shifted their model towards folklore dramas, and also pushed into foreign markets; their film White Snake (1926)[a] proved a typical example of their success in the Chinese communities of Southeast Asia. In 1931, the first Chinese sound film Sing-Song Girl Red Peony was made, the product of a cooperation between the Mingxing Film Company's image production and Pathé Frères's sound technology. However, the sound was disc-recorded, and the first sound-on-film talkie made in China was either Spring on Stage (歌場春色) by Tianyi, or Clear Sky After Storm by Great China Studio and Jinan Studio. 20-year-old Ruan Lingyu, a superstar during the silent film era, in Love and Duty (1931). However, the first truly important Chinese films were produced beginning in the 1930s, with the advent of the "progressive" or "left-wing" movement, like Cheng Bugao's Spring Silkworms (1933), Wu Yonggang's The Goddess (1934), and Sun Yu's The Big Road (1935). These films were noted for their emphasis on class struggle and external threats (i.e. Japanese aggression), as well as on their focus on common people, such as a family of silk farmers in Spring Silkworms and a prostitute in The Goddess. In part due to the success of these kinds of films, this post-1930 era is now often referred to as the first "golden period" of Chinese cinema. The Leftist cinematic movement often revolved around the Western-influenced Shanghai, where filmmakers portrayed the struggling lower class of an overpopulated city. Three production companies dominated the market in the early to mid- 1930s: the newly formed Lianhua ("United China"),[b] the older and larger Mingxing and Tianyi. Both Mingxing and Lianhua leaned left (Lianhua's management perhaps more so), while Tianyi continued to make less socially conscious fare. A scene from Children of Troubled Times, a patriotic 1935 Chinese film most famous as the origin of "The March of the Volunteers", the national anthem of the People's Republic of China. The period also produced the first big Chinese movie stars, such as Hu Die, Ruan Lingyu, Li Lili, Chen Yanyan, Zhou Xuan, Zhao Dan and Jin Yan. Other major films of the period include Love and Duty (1931), Little Toys (1933), New Women (1934), Song of the Fishermen (1934), Plunder of Peach and Plum (1934), Crossroads (1937), and Street Angel (1937). Throughout the 1930s, the Nationalists and the Communists struggled for power and control over the major studios; their influence can be seen in the films the studios produced during this period. Zhou Xuan, an iconic Chinese singer and film actress. The Japanese invasion of China in 1937, in particular the Battle of Shanghai, ended this golden run in Chinese cinema. All production companies except Xinhua Film Company ("New China") closed shop, and many of the filmmakers fled Shanghai, relocating to Hong Kong, the wartime Nationalist capital Chongqing, and elsewhere. The Shanghai film industry, though severely curtailed, did not stop however, thus leading to the "Solitary Island" period (also known as the "Sole Island" or "Orphan Island"), with Shanghai's foreign concessions serving as an "island" of production in the "sea" of Japanese-occupied territory. It was during this period that artists and directors who remained in the city had to walk a fine line between staying true to their leftist and nationalist beliefs and Japanese pressures. Director Bu Wancang's Mulan Joins the Army (1939), with its story of a young Chinese peasant fighting against a foreign invasion, was a particularly good example of Shanghai's continued film-production in the midst of war. This period ended when Japan declared war on the Western allies on December 7, 1941; the solitary island was finally engulfed by the sea of the Japanese occupation. With the Shanghai industry firmly in Japanese control, films like the Greater East Asia Co-Prosperity Sphere-promoting Eternity (1943) were produced. At the end of World War II, one of the most controversial Japanese-authorized company, Manchukuo Film Association, would be separated and integrated into Chinese cinema. The film industry continued to develop after 1945. Production in Shanghai once again resumed as a new crop of studios took the place that Lianhua and Mingxing had occupied in the previous decade. In 1946, Cai Chusheng returned to Shanghai to revive the Lianhua name as the "Lianhua Film Society." This in turn became Kunlun Studios which would go on to become one of the most important studios of the era, putting out the classics The Spring River Flows East (1947), Myriad of Lights (1948), Crows and Sparrows (1949) and San Mao, The Little Vagabond (1949). Many of these films showed the disillusionment with the oppressive rule of Chiang Kai-shek's Nationalist Party. The Spring River Flows East, a three-hour-long two-parter directed by Cai Chusheng and Zheng Junli, was a particularly strong success. Its depiction of the struggles of ordinary Chinese during the Second Sino-Japanese war, replete with biting social and political commentary, struck a chord with audiences of the time. Jin Yan, a Korean-born Chinese actor who gained fame during China's golden age of cinema. Meanwhile, companies like the Wenhua Film Company ("Culture Films"), moved away from the leftist tradition and explored the evolution and development of other dramatic genres. Wenhua treated postwar problems in universalistic and humanistic ways, avoiding the family narrative and melodramatic formulae. Excellent examples of Wenhua's fare are its first two postwar features, Unending Emotions (1947) and Fake Bride, Phony Bridegroom (1947). Another memorable Wenhua film is Long Live the Missus (1947), like Unending Emotions with an original screenplay by writer Eileen Chang. Wenhua's romantic drama Spring in a Small Town (1948), a film by director Fei Mu shortly prior to the revolution, is often regarded by Chinese film critics as one of the most important films in the history of Chinese cinema, with it being named by the Hong Kong Film Awards in 2004 as the greatest Chinese-language film ever made. Ironically, it was precisely its artistic quality and apparent lack of "political grounding" that led to its labeling by the Communists as rightist or reactionary, and the film was quickly forgotten by those on the mainland following the Communist victory in China in 1949. However, with the China Film Archive's re-opening after the Cultural Revolution, a new print was struck from the original negative, allowing Spring of the Small Town to find a new and admiring audience and to influence an entire new generation of filmmakers. Indeed, an acclaimed remake was made in 2002 by Tian Zhuangzhuang. A Wedding in the Dream (1948), by the same director, was the first Chinese color film. With the communist revolution in China in 1949, the government saw motion pictures as an important mass production art form and tool for propaganda. Starting from 1951, pre-1949 Chinese films, Hollywood and Hong Kong productions were banned as the Communist Party of China sought to tighten control over mass media, producing instead movies centering on peasants, soldiers and workers, such as Bridge (1949) and The White Haired Girl (1950). One of the production bases in the middle of all the transition was the Changchun Film Studio. The private studios in Shanghai, including Kunming, Wenhua, Guotai and Datong, were encouraged to make new films from 1949 to 1951. They made approximately 47 films during this period, but soon ran into trouble, owing to the furore over the Kunlun-produced drama The Life of Wu Xun (1950), directed by Sun Yu and starring veteran Zhao Dan. The feature was accused in an anonymous article in People's Daily in May 1951 of spreading feudal ideas. After the article was revealed to be penned by Mao Zedong, the film was banned, a Film Steering Committee was formed to "re-educate" the film industry and within two years, these private studios were all incorporated into the state-run Shanghai Film Studio. The Communist regime solved the problem of a lack of film theaters by building mobile projection units which could tour the remote regions of China, ensuring that even the poorest could have access to films. By 1965 there were around 20,393 such units. The number of movie-viewers hence increased sharply, partly bolstered by the fact that film tickets were given out to work units and attendance was compulsory, with admissions rising from 47 million in 1949 to 4.15 billion in 1959. In the 17 years between the founding of the People's Republic of China and the Cultural Revolution, 603 feature films and 8,342 reels of documentaries and newsreels were produced, sponsored mostly as Communist propaganda by the government. For example, in Guerrilla on the Railroad (铁道游击队), dated 1956, the Chinese Communist Party was depicted as the primary resistance force against the Japanese in the war against invasion. Chinese filmmakers were sent to Moscow to study the Soviet socialist realism style of filmmaking. In 1956, the Beijing Film Academy was opened. One important film of this era is This Life of Mine (1950), directed by Shi Hu, which follows an old beggar reflecting on his past life as a policeman working for the various regimes since 1911. The first widescreen Chinese film was produced in 1960. Animated films using a variety of folk arts, such as papercuts, shadow plays, puppetry, and traditional paintings, also were very popular for entertaining and educating children. The most famous of these, the classic Havoc in Heaven (two parts, 1961, 4), was made by Wan Laiming of the Wan Brothers and won Outstanding Film award at the London International Film Festival. The thawing of censorship in 1956–57 (known as the Hundred Flowers Campaign) and the early 1960s led to more indigenous Chinese films being made which were less reliant on their Soviet counterparts. During this campaign the sharpest criticisms came from the satirical comedies of Lü Ban. Before the New Director Arrives exposes the hierarchical relationships occurring between the cadres, while his next film, The Unfinished Comedy (1957), was labelled as a "poisonous weed" during the Anti-Rightist Movement and Lü was banned from directing for life.The Unfinished Comedy was only screened after Mao's death. Other noteworthy films produced during this period were adaptations of literary classics, such as Sang Hu's The New Year's Sacrifice (1956; adapted from a Lu Xun story) and Shui Hua's The Lin Family Shop (1959; adapted from a Mao Dun story). The most prominent filmmaker of this era was Xie Jin, whose three films in particular, Woman Basketball Player No. 5 (1957), The Red Detachment of Women (1961) and Two Stage Sisters (1964), exemplify China's increased expertise at filmmaking during this time. Films made during this period are polished and exhibit high production value and elaborate sets. While Beijing and Shanghai remained the main centers of production, between 1957–60 the government built regional studios in Guangzhou, Xi'an and Chengdu to encourage representations of ethnic minorities in films. Chinese cinema began to directly address the issue of such ethnic minorities during the late 1950s and early 1960s, in films like Five Golden Flowers (1959), Third Sister Liu (1960), Serfs (1963), Ashima (1964). During the Cultural Revolution, the film industry was severely restricted. Almost all previous films were banned, and only a few new ones were produced, the so-called "revolutionary model operas". The most notable of these was a ballet version of the revolutionary opera The Red Detachment of Women, directed by Pan Wenzhan and Fu Jie in 1970. Feature film production came almost to a standstill in the early years from 1967 to 1972. Movie production revived after 1972 under the strict jurisdiction of the Gang of Four until 1976, when they were overthrown. The few films that were produced during this period, such as 1975's Breaking with Old Ideas, were highly regulated in terms of plot and characterization. In the years immediately following the Cultural Revolution, the film industry again flourished as a medium of popular entertainment. Production rose steadily, from 19 features in 1977 to 125 in 1986. Domestically produced films played to large audiences, and tickets for foreign film festivals sold quickly. The industry tried to revive crowds by making more innovative and "exploratory" films like their counterparts in the West. In the 1980s the film industry fell on hard times, faced with the dual problems of competition from other forms of entertainment and concern on the part of the authorities that many of the popular thriller and martial arts films were socially unacceptable. In January 1986 the film industry was transferred from the Ministry of Culture to the newly formed Ministry of Radio, Cinema, and Television to bring it under "stricter control and management" and to "strengthen supervision over production." The end of the Cultural Revolution brought the release of "scar dramas", which depicted the emotional traumas left by this period. The best-known of these is probably Xie Jin's Hibiscus Town (1986), although they could be seen as late as the 1990s with Tian Zhuangzhuang's The Blue Kite (1993). In the 1980s, open criticism of certain past Communist Party policies was encouraged by Deng Xiaoping as a way to reveal the excesses of the Cultural Revolution and the earlier Anti-Rightist Campaign, also helping to legitimize Deng's new policies of "reform and opening up." For instance, the Best Picture prize in the inaugural 1981 Golden Rooster Awards was given to two "scar dramas", Evening Rain (Wu Yonggang, Wu Yigong, 1980) and Legend of Tianyun Mountain (Xie Jin, 1980). Many scar dramas were made by members of the Fourth Generation whose own careers or lives had suffered during the events in question, while younger, Fifth Generation directors such as Tian tended to focus on less controversial subjects of the immediate present or the distant past. Official enthusiasm for scar dramas waned by the 1990s when younger filmmakers began to confront negative aspects of the Mao era. The Blue Kite, though sharing a similar subject as the earlier scar dramas, was more realistic in style, and was made only through obfuscating its real script. Shown abroad, it was banned from release in mainland China, while Tian himself was banned from making any films for nearly a decade afterward. After the events of June 4, 1989 in Tiananmen Square, few if any scar dramas were released domestically in mainland China. Beginning in the mid-late 1980s, the rise of the so-called Fifth Generation of Chinese filmmakers brought increased popularity of Chinese cinema abroad. Most of the filmmakers who made up the Fifth Generation had graduated from the Beijing Film Academy in 1982 and included Zhang Yimou, Tian Zhuangzhuang, Chen Kaige, Zhang Junzhao and others. These graduates constituted the first group of filmmakers to graduate since the Cultural Revolution and they soon jettisoned traditional methods of storytelling and opted for a more free and unorthodox approach. After the so-called scar literature in fiction had paved the way for frank discussion, Zhang Junzhao's One and Eight (1983) and Chen Kaige's Yellow Earth (1984) in particular were taken to mark the beginnings of the Fifth Generation. [c] The most famous of the Fifth Generation directors, Chen Kaige and Zhang Yimou, went on to produce celebrated works such as King of the Children (1987), Ju Dou (1989), Farewell My Concubine (1993) and Raise the Red Lantern (1991), which were not only acclaimed by Chinese cinema-goers but by the Western arthouse audience. Tian Zhuangzhuang's films, though less well known by Western viewers, were well noted by directors such as Martin Scorsese. It was during this period that Chinese cinema began reaping the rewards of international attention, including the 1988 Golden Bear for Red Sorghum, the 1992 Golden Lion for The Story of Qiu Ju, the 1993 Palme d'Or for Farewell My Concubine, and three Best Foreign Language Film nominations from the Academy Awards. All these award-winning films starred actress Gong Li, who became the Fifth Generation's most recognizable star, especially to international audiences. Diverse in style and subject, the Fifth Generation directors' films ranged from black comedy (Huang Jianxin's The Black Cannon Incident, 1985) to the esoteric (Chen Kaige's Life on a String, 1991), but they share a common rejection of the socialist-realist tradition worked by earlier Chinese filmmakers in the Communist era. Other notable Fifth Generation directors include Wu Ziniu, Hu Mei, Li Shaohong and Zhou Xiaowen. Fifth Generation filmmakers reacted against the ideological purity of Cultural Revolution cinema. By relocating to regional studios, they began to explore the actuality of local culture in a somewhat documentarian fashion. Instead of stories depicting heroic military struggles, the films were built out of the drama of ordinary people's daily lives. They also retained political edge, but aimed at exploring issues rather than recycling approved policy. While Cultural Revolution films used character, the younger directors favored psychological depth along the lines of European cinema. They adopted complex plots, ambiguous symbolism, and evocative imagery. Some of their bolder works with political overtones were banned by Chinese authorities. These films came with a new style of shooting as well, directors utilized extensive color and long shots. As a result of the new films being so intricate, the films were for more educated audiences than anything. The new style was profitable for some and helped filmmakers to make strides in the business. It allowed directors to get away from reality and show their artistic sense. The Fourth Generation also returned to prominence. Given their label after the rise of the Fifth Generation, these were directors whose careers were stalled by the Cultural Revolution and who were professionally trained prior to 1966. Wu Tianming, in particular, made outstanding contributions by helping to finance major Fifth Generation directors under the auspices of the Xi'an Film Studio (which he took over in 1983), while continuing to make films like Old Well (1986) and The King of Masks (1996). The Fifth Generation movement ended in part after the 1989 Tiananmen Incident, although its major directors continued to produce notable works. Several of its filmmakers went into self-imposed exile: Wu Tianming moved to the United States (but later returned), Huang Jianxin left for Australia, while many others went into television-related works. In 1987, the Ministry of Radio, Film and Television issued a statement encouraging the making of movies which emphasizes "the main melody" (主旋律) to "invigorate national spirit and national pride". These "main melody" films (主旋律电影), still produced regularly nowadays, try to emulate the commercial mainstream by the use of Hollywood-style music and special effects. They are often subsidized by the state and have free access to government and military personnel. August 1st Film Studio, the film and TV production arm of the People's Liberation Army, is a studio which produces "main melody" cinema. "Main melody" films, which often depict past military engagements or are biopics of first-generation CCP leaders, have won several Best Picture prizes at the Golden Rooster Awards. Some of the more famous "main melody" dramas include the ten-hour epic Decisive Engagement (大决战, 1991), directed by Cai Jiawei, Yang Guangyuan and Wei Lian; The Opium War (1997), directed by Xie Jin; and The Founding of a Republic (2009), directed by Han Sanping and Fifth Generation director Huang Jianxin. The post-1990 era has seen what some observers[who?] term the "return of the amateur filmmaker" as state censorship policies after the Tiananmen Square demonstrations produced an edgy underground film movement loosely referred to as the Sixth Generation. Owing to the lack of state funding and backing, these films were shot quickly and cheaply, using materials like 16 mm film and digital video and mostly non-professional actors and actresses, producing a documentary feel, often with long takes, hand-held cameras, and ambient sound; more akin to Italian neorealism and cinéma vérité than the often lush, far more considered productions of the Fifth Generation. Unlike the Fifth Generation, the Sixth Generation brings a more individualistic, anti-romantic life-view and pays far closer attention to contemporary urban life, especially as affected by disorientation, rebellion and dissatisfaction with China's contemporary social tensions. Many were made with an extremely low budget (an example is Jia Zhangke, who shoots on digital video, and formerly on 16 mm; Wang Xiaoshuai's The Days (1993) were made for US$10,000). The title and subjects of many of these films reflect the Sixth Generation's concerns. The Sixth Generation takes an interest in marginalized individuals and the less represented fringes of society. 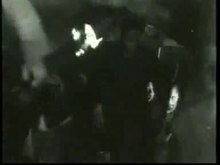 For example, Zhang Yuan's hand-held Beijing Bastards (1993) focuses on youth punk subculture, featuring artists like Cui Jian, Dou Wei and He Yong frowned upon by many state authorities, while Jia Zhangke's debut film Xiao Wu (1997) concerns a provincial pickpocket. As the Sixth Generation gained international exposure, many subsequent movies were joint ventures and projects with international backers, but remained quite resolutely low-key and low budget. Jia's Platform (2000) was funded in part by Takeshi Kitano's production house, while his Still Life was shot on HD video. Still Life was a surprise addition and Golden Lion winner of the 2006 Venice International Film Festival. Still Life, which concerns provincial workers around the Three Gorges region, sharply contrasts with the works of Fifth Generation Chinese directors like Zhang Yimou and Chen Kaige who were at the time producing House of Flying Daggers (2004) and The Promise (2005). It featured no star of international renown and was acted mostly by non-professionals. Many Sixth Generation films have highlighted the negative attributes of China's entry into the modern capitalist market. Li Yang's Blind Shaft (2003) for example, is an account of two murderous con-men in the unregulated and notoriously dangerous mining industry of northern China. (Li refused the tag of Sixth Generation, although admitted he was not Fifth Generation). While Jia Zhangke's The World (2004) emphasizes the emptiness of globalization in the backdrop of an internationally themed amusement park. Some of the more prolific Sixth Generation directors to have emerged are Wang Xiaoshuai (The Days, Beijing Bicycle), Zhang Yuan (Beijing Bastards, East Palace West Palace), Jia Zhangke (Xiao Wu, Unknown Pleasures, Platform, The World), He Jianjun (Postman) and Lou Ye (Suzhou River, Summer Palace). One young director who does not share most of the concerns of the Sixth Generation is Lu Chuan (Kekexili: Mountain Patrol, 2004; City of Life and Death, 2010). There is a growing number of independent post-Sixth Generation filmmakers making films with extremely low budgets and using digital equipment. They are the so-called dGeneration (for digital). These films, like those from Sixth Generation filmmakers, are mostly made outside the Chinese film system and are shown mostly on the international film festival circuit. Ying Liang and Jian Yi are two of these dGeneration filmmakers. Ying's Taking Father Home (2005) and The Other Half (2006) are both representative of the dGeneration trends of feature film. Liu Jiayin made two dGeneration feature films, Oxhide (2004) and Oxhide II (2010), blurring the line between documentary and narrative film. Oxhide, made by Liu when she was a film student, frames herself and her parents in their claustrophobic Beijing apartment in a narrative praised by critics. Two decades of reform and commercialization have brought dramatic social changes in mainland China, reflected not only in fiction film but in a growing documentary movement. Wu Wenguang's 70-minute Bumming in Beijing: The Last Dreamers (1990) is now seen as one of the first works of this "New Documentary Movement" (NDM) in China. Bumming, made between 1988 and 1990, contains interviews with five young artists eking out a living in Beijing, subject to state authorized tasks. Shot using a camcorder, the documentary ends with four of the artists moving abroad after the 1989 Tiananmen Protests. Dance with the Farm Workers (2001) is another documentary by Wu. Another internationally acclaimed documentary is Wang Bing's nine-hour tale of deindustrialization Tie Xi Qu: West of the Tracks (2003). Wang's subsequent documentaries, He Fengming (2007), Crude Oil (2008), Man with no name (2009), Three Sisters (2012) and Feng ai (2013), cemented his reputation as a leading documentarist of the movement. Li Hong, the first woman in the NDM, in Out of Phoenix Bridge (1997) relates the story of four young women, who moving from rural areas to the big cities like millions of other men and women, have come to Beijing to make a living. The New Documentary Movement in recent times has overlapped with the dGeneration filmmaking, with most documentaries being shot cheaply and independently in the digital format. Xu Xin's Karamay (2010), Zhao Liang's Behemoth, Huang Weikai's Disorder (2009), Zhao Dayong's Ghost Town (2009), Du Haibing's 1428 (2009), Xu Tong's Fortune Teller (2010) and Li Ning’s Tape (2010) were all shot in digital format. All had made their impact in the international documentary scene and the use of digital format allows for works of vaster lengths. With China's liberalization in the late 1970s and its opening up to foreign markets, commercial considerations have made its impact in post-1980s filmmaking. Traditionally arthouse movies screened seldom make enough to break even. An example is Fifth Generation director Tian Zhuangzhuang's The Horse Thief (1986), a narrative film with minimal dialog on a Tibetan horse thief. The film, showcasing exotic landscapes, was well received by Chinese and some Western arthouse audiences, but did poorly at the box office. Tian's later The Warrior and the Wolf (2010) was a similar commercial failure. Prior to these, there were examples of successful commercial films in the post-liberalization period. One was the romance film Romance on the Lu Mountain (1980), which was a success with older Chinese. The film broke the Guinness Book of Records as the longest-running film on a first run. Jet Li's cinematic debut Shaolin Temple (1982) was an instant hit at home and abroad (in Japan and the Southeast Asia, for example). Another successful commercial film was Murder in 405 (405谋杀案, 1980), a murder thriller. Feng Xiaogang's The Dream Factory (1997) was heralded as a turning point in Chinese movie industry, a hesui pian (Chinese New Year-screened film) which demonstrated the viability of the commercial model in China's socialist market society. Feng has become the most successful commercial director in the post-1997 era. Almost all his films made high returns domestically while he used ethnic Chinese co-stars like Rosamund Kwan, Jacqueline Wu, Rene Liu and Shu Qi to boost his films' appeal. In the decade following 2010, owing to the influx of Hollywood films (though the number screened each year is curtailed), Chinese domestic cinema faces mounting challenges. The industry is growing and domestic films are starting to achieve the box office impact of major Hollywood blockbusters. However, not all domestic films are successful financially. In January 2010 James Cameron's Avatar was pulled out from non-3D theaters for Hu Mei's biopic Confucius, but this move led to a backlash on Hu's film. Zhang Yang's 2005 Sunflower also made little money, but his earlier, low-budget Spicy Love Soup (1997) grossed ten times its budget of ¥3 million. Likewise, the 2006 Crazy Stone, a sleeper hit, was made for just 3 million HKD/US$400,000. In 2009–11, Feng's Aftershock (2009) and Jiang Wen's Let the Bullets Fly (2010) became China's highest grossing domestic films, with Aftershock earning ¥670 million (US$105 million) and Let the Bullets Fly ¥674 million (US$110 million). Lost in Thailand (2012) became the first Chinese film to reach ¥1 billion at the Chinese box office and Monster Hunt (2015) became the first to reach CN¥2 billion. As of November 2015, 5 of the top 10 highest-grossing films in China are domestic productions. On February 8, 2016, the Chinese box office set a new single-day gross record, with CN¥660 million, beating the previous record of CN¥425 million on July 18, 2015. Also on February 2016, The Mermaid, directed by Stephen Chow, became the highest-grossing film in China, overtaking Monster Hunt. It is also the first film to reach CN¥3 billion. He Ping is a director of mostly Western-like films set in Chinese locale. His Swordsmen in Double Flag Town (1991) and Sun Valley (1995) explore narratives set in the sparse terrain of West China near the Gobi Desert. His historical drama Red Firecracker, Green Firecracker (1994) won a myriad of prizes home and abroad. Recent cinema has seen Chinese cinematographers direct some acclaimed films. Other than Zhang Yimou, Lü Yue made Mr. Zhao (1998), a black comedy film well received abroad. Gu Changwei's minimalist epic Peacock (2005), about a quiet, ordinary Chinese family with three very different siblings in the post-Cultural Revolution era, took home the Silver Bear prize for 2005 Berlin International Film Festival. Hou Yong is another cinematographer who made films (Jasmine Women, 2004) and TV series. There are actors who straddle the dual roles of acting and directing. Xu Jinglei, a popular Chinese actress, has made six movies to date. Her second film Letter from an Unknown Woman (2004) landed her the San Sebastián International Film Festival Best Director award. Another popular actress and director is Zhao Wei, whose directorial debut So Young (2013) was a huge box office and critical success. The most highly regarded Chinese actor-director is undoubtedly Jiang Wen, who has directed several critically acclaimed movies while following on his acting career. His directorial debut, In the Heat of the Sun (1994) was the first PRC film to win Best Picture at the Golden Horse Film Awards held in Taiwan. His other films, like Devils on the Doorstep (2000, Cannes Grand Prix) and Let the Bullets Fly (2010), were similarly well received. By the early 2011, Let the Bullets Fly had become the highest grossing domestic film in China's history. Since the late 1980s and progressively in the 2000s, Chinese films have enjoyed considerable box office success abroad. Formerly viewed only by cineastes, its global appeal mounted after the international box office and critical success of Ang Lee's period martial arts film Crouching Tiger, Hidden Dragon which won Academy Award for Best Foreign Language Film in 2000. This multi-national production increased its appeal by featuring stars from all parts of the Chinese-speaking world. It provided an introduction to Chinese cinema (and especially the wuxia genre) for many and increased the popularity of many earlier Chinese films. To date Crouching Tiger remains the most commercially successful foreign-language film in U.S. history. Similarly, in 2002, Zhang Yimou's Hero was another international box office success. Its cast featured famous actors from the Mainland China and Hong Kong who were also known to some extent in the West, including Jet Li, Zhang Ziyi, Maggie Cheung and Tony Leung Chiu-Wai. Despite criticisms by some that these two films pander somewhat to Western tastes, Hero was a phenomenal success in most of Asia and topped the U.S. box office for two weeks, making enough in the U.S. alone to cover the production costs. Other films such as Farewell My Concubine, 2046, Suzhou River, The Road Home and House of Flying Daggers were critically acclaimed around the world. The Hengdian World Studios can be seen as the "Chinese Hollywood", with a total area of up to 330 ha. and 13 shooting bases, including a 1:1 copy of the Forbidden City. The successes of Crouching Tiger, Hidden Dragon and Hero make it difficult to demarcate the boundary between "Mainland Chinese" cinema and a more international-based "Chinese-language cinema". Crouching Tiger, for example, was directed by a Taiwan-born American director (Ang Lee) who works often in Hollywood. Its pan-Chinese leads include Mainland Chinese (Zhang Ziyi), Hong Kong (Chow Yun-Fat), Taiwan (Chang Chen) and Malaysian (Michelle Yeoh) actors and actresses; the film was co-produced by an array of Chinese, American, Hong Kong, and Taiwan film companies. Likewise, Lee's Chinese-language Lust, Caution (2007) drew a crew and cast from Mainland China, Hong Kong and Taiwan, and includes an orchestral score by French composer Alexandre Desplat. This merging of people, resources and expertise from the three regions and the broader East Asia and the world, marks the movement of Chinese-language cinema into a domain of large scale international influence. Other examples of films in this mold include The Promise (2005), The Banquet (2006), Fearless (2006), The Warlords (2007), Bodyguards and Assassins (2009) and Red Cliff (2008-9). The ease with which ethnic Chinese actresses and actors straddle the mainland and Hong Kong has significantly increased the number of co-productions in Chinese-language cinema. Many of these films also feature South Korean or Japanese actors to appeal to their East Asian neighbours. Some artistes originating from the mainland, like Hu Jun, Zhang Ziyi, Tang Wei and Zhou Xun, obtained Hong Kong residency under the Quality Migrant Admission Scheme and have acted in many Hong Kong productions. In 2010, Chinese cinema was the third largest film industry by number of feature films produced annually. In 2013, China's gross box office was ¥21.8 billion (US$3.6 billion), the second-largest film market in the world by box office receipts. In January 2013, Lost in Thailand (2012) became the first Chinese film to reach ¥1 billion at the box office. As of May 2013, 7 of the top 10 highest-grossing films in China were domestic productions. As of 2014, around half of all tickets are sold online, with the largest ticket selling sites being Maoyan.com (82 million), Gewara.com (45 million) and Wepiao.com (28 million). In 2014, Chinese films earned ¥1.87 billion outside China. By December 2013 there were 17,000 screens in the country. By January 6, 2014, there were 18,195 screens in the country. Greater China has around 251 IMAX theaters. There were 299 cinema chains (252 rural, 47 urban), 5,813 movie theaters and 24,317 screens in the country in 2014. The country added about 8,035 screens in 2015 (at an average of 22 new screens per day, increasing its total by about 40% to around 31,627 screens, which is about 7,373 shy of the number of screens in the United States. Chinese films accounted for 61.48% of ticket sales in 2015 (up from 54% last year) with more than 60% of ticket sales being made online. Average ticket price was down about 2.5% to $5.36 in 2015. It also witnessed 51.08% increase in admissions, with 1.26 billion people buying tickets to the cinema in 2015. Chinese films grossed US$427 million overseas in 2015. During the week of the 2016 Chinese New Year, the country set a new record for the highest box office gross during one week in one territory with US$548 million, overtaking the previous record of US$529.6 million of December 26, 2015 to January 1, 2016 in the United States and Canada. Chinese films grossed CN¥3.83 billion (US$550 million) in foreign markets in 2016. As of April 2015, the largest Chinese film company by worth was Alibaba Pictures (US$8.77 billion). Other large companies include Huayi Brothers Media (US$7.9 billion), Enlight Media (US$5.98 billion) and Bona Film Group (US$542 million). The biggest distributors by market share in 2014 were: China Film Group (32.8%), Huaxia Film (22.89%), Enlight Pictures (7.75%), Bona Film Group (5.99%), Wanda Media (5.2%), Le Vision Pictures (4.1%), Huayi Brothers (2.26%), United Exhibitor Partners (2%), Heng Ye Film Distribution (1.77%) and Beijing Anshi Yingna Entertainment (1.52%). The biggest cinema chains in 2014 by box office gross were: Wanda Cinema Line (US$676.96 million), China Film Stellar (393.35 million), Dadi Theater Circuit (378.17 million), Shanghai United Circuit (355.07 million), Guangzhou Jinyi Zhujiang (335.39 million), China Film South Cinema Circuit (318.71 million), Zhejiang Time Cinema (190.53 million), China Film Group Digital Cinema Line (177.42 million), Hengdian Cinema Line (170.15 million) and Beijing New Film Association (163.09 million). ^ Lianhua is also sometimes referred to in scholarly literature as the "United Photoplay Service"
^ Notably Zhang Yimou served as cinematographer for both films. ^ "Princess Iron Fan(HKAFF 2017)". Broadway Cinematheque. ^ a b c d e f g Zhang Rui (January 3, 2017). "China reveals box office toppers for 2016". china.org.cn. Retrieved January 4, 2017. ^ a b c d e f g "China Film Industry Report 2014-2015 (In Brief)" (PDF). english.entgroup.cn. EntGroup Inc. Retrieved October 15, 2015. ^ a b c Frater, Patrick (December 31, 2016). "China Box Office Crawls to 3% Gain in 2016". Variety. Retrieved January 1, 2017. ^ Du, Daisy Yan (May 2012). "A Wartime Romance: Princess Iron Fan and the Chinese Connection in Early Japanese Animation," in On the Move: The Trans/national Animated Film in 1940s-1970s China. University of Wisconsin-Madison. pp. 15–60. ^ "Breathtaking Photos From Inside the China Studio Luring Hollywood East". Hollywoodreporter.com. Retrieved 27 July 2018. ^ "Wanda Unveils Plans for $8 Billion 'Movie Metropolis,' Reveals Details About Film Incentives". The Hollywood Reporter. ^ Brzeski, Patrick (December 20, 2016). "China Says It Has Passed U.S. as Country With Most Movie Screens". The Hollywood Reporter. Retrieved December 21, 2016. ^ Tartaglione, Nancy (November 15, 2016). "China Will Overtake U.S. In Number Of Movie Screens This Week: Analyst". Deadline Hollywood. Retrieved November 15, 2016. ^ Edwards, Russell (15 November 2016). "New law, slowing sales take shine off China's box office". Atimes.com. Retrieved 16 November 2016. ^ Berry, Chris. "China Before 1949", in The Oxford History of World Cinema, edited by Geoffrey Nowell-Smith (1997). Oxford: Oxford University Press, p. 409. ^ a b c d Martin Geiselmann (2006). "Chinese Film History - A Short Introduction" (PDF). The University of Vienna- Sinologie Program. Retrieved 2007-07-25. ^ a b David Carter (2010). East Asian Cinema. Kamera Books. ISBN 9781842433805. ^ a b c d e Zhang Yingjin (2003-10-10). "A Centennial Review of Chinese Cinema". University of California-San Diego. Archived from the original on 2008-09-07. Retrieved 2007-04-26. ^ "A Brief History of Chinese Film". Ohio State University. Archived from the original on 2014-04-10. Retrieved 2007-04-24. ^ Berry, Chris. "China Before 1949", in The Oxford History of World Cinema, edited by Geoffrey Nowell-Smith (1997). Oxford: Oxford University Press, pp. 409–410. ^ "《Legend of the White Snake》(1926)". The Chinese Mirror. Retrieved 23 January 2013. ^ Yingjin Zhang (2012). "Chapter 24 - Chinese Cinema and Technology". A Companion to Chinese Cinema. Wiley-Blackwell. p. 456. ISBN 978-1444330298. ^ Kraicer, Shelly (2005-12-06). "Timeline". The Hollywood Reporter. Archived from the original on 2010-08-02. Retrieved 2006-05-08. ^ Ministry of Culture Staff (2003). "Sole Island Movies". ChinaCulture.org. Archived from the original on 2006-08-26. Retrieved 2006-08-18. ^ Baskett, Michael (2008). The Attractive Empire: Transnational Film Culture in Imperial Japan. Honolulu: University of Hawai'i Press. ISBN 978-0-8248-3223-0. Retrieved 2012-12-22. ^ Zhang Yingjin (2007-01-01). "Chinese Cinema - Cai Chusheng". University of California-San Diego. Archived from the original on March 7, 2007. Retrieved 2007-04-25. ^ "Kunlun Film Company". British Film Institute. 2004. Retrieved 2007-04-25. ^ Pickowicz, Paul G. "Chinese Film-making on the Eve of the Communist Revolution", in The Chinese Cinema Book, edited by Song Hwee Lim and Julian Ward (2011). BFI: Palgrave Macmillan, p. 80–81. ^ "Welcome to the Hong Kong Film Awards". 2004. Retrieved 2007-04-04. ^ Zhang Yingjin, "Introduction" in Cinema and Urban Culture in Shanghai, 1922–1943, ed. Yingjin Zhang (Stanford: Stanford University Press, 1999), p. 8. ^ a b c Yau, Esther. "China After the Revolution", in The Oxford History of World Cinema, edited by Geoffrey Nowell-Smith (1997). Oxford: Oxford University Press, p. 694. ^ a b Ward, Julian. "The Remodelling of a National Cinema: Chinese Films of the Seventeen Years (1949–66)", in The Chinese Cinema Book, edited by Song Hwee Lim and Julian Ward (2011). BFI: Palgrave Macmillan, p. 88. ^ a b Bordwell and Thompson (2010). Film History: An Introduction (Third Edition). New York: McGraw-Hill Companies, Inc. p. 371. ISBN 978-0-07-338613-3. ^ Li Xiao (2004-01-17). "Film Industry in China". China.org.cn. Retrieved 2007-02-27. ^ Braester, Yumi. "The Purloined Lantern: Maoist Semiotics and Public Discourse in Early PRC Film and Drama", p 111, in Witness Against History: Literature, Film, and Public Discourse in Twentieth-Century China. Stanford, CA: Stanford University Press, 2003. ^ Bordwell and Thompson (2010). Film History: An Introduction (Third Edition). New York: McGraw-Hill Companies, Inc. pp. 371–372. ISBN 978-0-07-338613-3. ^ Ward, Julian. "The Remodelling of a National Cinema: Chinese Films of the Seventeen Years (1949–66)", in The Chinese Cinema Book, edited by Song Hwee Lim and Julian Ward (2011). BFI: Palgrave Macmillan, p. 90. ^ Bordwell and Thompson (2010). Film History: An Introduction (Third Edition). New York: McGraw-Hill Companies, Inc. p. 373. ISBN 978-0-07-338613-3. ^ Yau, Esther. "China After the Revolution", in The Oxford History of World Cinema, edited by Geoffrey Nowell-Smith (1997). Oxford: Oxford University Press, p. 695. ^ Ward, Julian. "The Remodelling of a National Cinema: Chinese Films of the Seventeen Years (1949–66)", in The Chinese Cinema Book, edited by Song Hwee Lim and Julian Ward (2011). BFI: Palgrave Macmillan, pp. 92–93. ^ Bordwell and Thompson (2010). Film History: An Introduction (Third Edition). New York: McGraw-Hill Companies, Inc. pp. 372–373. ISBN 978-0-07-338613-3. ^ Bordwell and Thompson (2010). Film History: An Introduction (Third Edition). New York: McGraw-Hill Companies, Inc. pp. 370–373. ISBN 978-0-07-338613-3. ^ Yau, Esther. "China After the Revolution", in The Oxford History of World Cinema, edited by Geoffrey Nowell-Smith (1997). Oxford: Oxford University Press, p. 696. ^ Zhang, Yingjin & Xiao, Zhiwei. "Breaking with Old Ideas" in Encyclopedia of Chinese Film. Taylor & Francis (1998), p. 101. ISBN 0-415-15168-6. ^ Bordwell and Thompson (2010). Film History: An Introduction (Third Edition). New York: McGraw-Hill Companies, Inc. p. 638. ISBN 978-0-07-338613-3. ^ Yau, Esther. "China After the Revolution", in The Oxford history of world cinema edited by Geoffrey Nowell-Smith (1997). Oxford: Oxford University Press, p. 698. ^ Yvonne Ng (2002-11-19). "The Irresistible Rise of Asian Cinema-Tian Zhuangzhuang: A Director of the 21st Century". Kinema. Archived from the original on 2007-04-16. Retrieved 2007-04-23. ^ a b Rose, S. "The great fall of China", The Guardian, 2002-08-01. Retrieved on 2007-04-28. ^ Bordwell and Thompson (2010). Film History: An Introduction (Third Edition). New York: McGraw-Hill Companies, Inc. pp. 639–640. ISBN 978-0-07-338613-3. ^ Bordwell and Thompson (2010). Film History: An Introduction (Third Edition). New York: McGraw-Hill Companies, Inc. pp. 638–640. ISBN 978-0-07-338613-3. ^ Rui Zhang, The Cinema of Feng Xiaogang: Commercialization and Censorship in Chinese Cinema after 1989. Hong Kong: Hong Kong University Press, 2008, p. 35. ^ Braester, Yomi. "Contemporary Mainstream PRC Cinema" in The Chinese Cinema Book (2011), edited by Song Hwee Lim and Julian Ward, BFI: Palgrave Macmillan, p. 181. ^ Rui Zhang, The Cinema of Feng Xiaogang: Commercialization and Censorship in Chinese Cinema after 1989. Hong Kong: Hong Kong University Press, 2008, p. 38–39. ^ Braester, Yomi. "Contemporary Mainstream PRC Cinema" in The Chinese Cinema Book (2011), edited by Song Hwee Lim and Julian Ward, BFI: Palgrave Macmillan, p. 181–182. ^ a b Stephen Teo (July 2003). ""There Is No Sixth Generation!" Director Li Yang on Blind Shaft and His Place in Chinese Cinema". Retrieved April 3, 2015. ^ a b Corliss, Richard (2001-03-26). "Bright Lights". Time. Retrieved April 3, 2015. ^ Deborah Young (October 4, 1993). "Review: 'Beijing Zazhong'". Variety. Retrieved April 3, 2015. ^ Pamela Jahn (May 16, 2014). "A Touch of Sin: Interview with Jia Zhang-ke". Electric Sheep. Retrieved April 3, 2015. ^ Kahn, Joseph (2003-05-07). "Filming the Dark Side Of Capitalism in China". New York Times. Retrieved 2008-04-10. ^ Rapfogel, Jared (December 2004). "Minimalism and Maximalism: The 42nd New York Film Festival". Senses of Cinema. Archived from the original on 2007-09-13. Retrieved 2007-04-28. ^ "From D-Buffs to the D-Generation: Piracy, Cinema, and an Alternative Public Sphere in Urban China". Talari.com. 2011-04-01. Retrieved 2015-10-23. ^ "100 best Chinese Mainland Films: the countdown". Timeoutbeijing.com. 2014-04-04. Retrieved 2015-10-23. ^ Reynaud, Berenice (September 2003). "Dancing with Myself,Drifting with My Camera: The Emotional Vagabonds". Senses of Cinema. Archived from the original on 2007-11-03. Retrieved 2007-12-10. ^ Krich, John (March 5, 1998). "China's New Documentaries". The San Francisco Examiner. ^ Chu, Yingchu (2007). Chinese Documentaries: From Dogma to Polyphony. Routledge. pp. 91–92. ^ Zhang, Yingjin (2010). Cinema, Space, and Polylocality in a Globalizing China. University of Hawai'i Press. p. 134. ^ "CCTV-电影频道-相聚——《流金岁月》". Cctv.com. Retrieved 27 July 2018. ^ Walsh Megan (February 20, 2014). "Feng Xiaogang: the Chinese Spielberg". New Statesman. Retrieved April 3, 2015. ^ Raymond Zhou (January 29, 2010). "Confucius loses his way". China Daily. Retrieved April 3, 2015. ^ Karen Chu (2012-06-17). "Feng Xiaogang Unveils Epic 'Remembering 1942' at the Shanghai Film Festival". The Hollywood Reporter. Retrieved 2012-07-07. ^ Stephen Cremin (18 May 2013). "So Young enters China's all-time top ten". Film Business Asia. Archived from the original on 19 March 2015. Retrieved April 3, 2015. ^ Frater, Patrick (February 9, 2016). "China Has Biggest Ever Day At Box Office". Variety. Retrieved February 9, 2016. ^ Brzeski, Patrick (February 19, 2016). "China Box Office: 'Mermaid' Becomes Top-Grossing Film Ever With $400M". The Hollywood Reporter. Retrieved February 21, 2016. ^ Papish, Jonathan (February 29, 2016). "China Box Office: February and 'The Mermaid' Smash Records". China Film Insider. Retrieved March 1, 2016. ^ Cremin, Stephen (July 24, 2012). "Resurrection takes China BO record". Film Business Asia. Archived from the original on July 30, 2012. Retrieved April 3, 2015. ^ "《让子弹飞》票房7.3亿 姜文成国内第一导演_娱乐_腾讯网". Ent.qq.com. Retrieved 27 July 2018. ^ "Zhou Xun Obtains Hong Kong Citizenship". Archived from the original on 2012-04-02. Retrieved 2016-02-05. ^ Brenhouse, Hillary (2011-01-31). "As Its Box Office Booms, Chinese Cinema Makes a 3-D Push". Time. Retrieved 2011-09-14. ^ a b c Kevin Ma (January 6, 2014). "China B.O. up 27% in 2013". Film Business Asia. Archived from the original on January 6, 2014. Retrieved January 6, 2014. ^ Stephen Cremin and Patrick Frater (January 3, 2013). "Xu joins one billion club". Film Business Asia. Archived from the original on February 5, 2014. Retrieved January 6, 2014. ^ Stephen Cremin (May 18, 2013). "So Young enters China's all-time top ten". Film Business Asia. Archived from the original on March 19, 2015. Retrieved January 6, 2014. ^ Xu Fan (China Daily) (June 18, 2015). "Internet Giants Move From Behind the Camera to Front". english.entgroup.cn. EntGroup Inc. Retrieved June 19, 2015. ^ Kevin Ma (January 2, 2015). "China B.O up 36% in 2014". Film Business Asia. Retrieved January 2, 2015. ^ Kevin Mar (2013-12-10). "China B.O. passes RMB20 billion in 2013". Film Business Asia. Retrieved 2013-12-19. ^ Patrick Frater (September 30, 2015). "IMAX China Sets Cautious IPO Share Price". variety.com. Retrieved October 9, 2015. ^ a b Julie Makinen (December 29, 2015). "Movie ticket sales jump 48% in China, but Hollywood has reason to worry". Los Angeles Times. Retrieved December 29, 2015. ^ a b Patrick Brzeski (December 31, 2015). "China Box Office Grows Astonishing 49 Percent in 2015, Hits $6.78 Billion". The Hollywood Reporter. Retrieved December 31, 2015. ^ Tartaglione, Nancy (January 1, 2016). "China Box Office Ends Year With $6.77B; On Way To Overtaking U.S. In 2017?". Deadline Hollywood. Retrieved January 1, 2016. ^ Brzeski, Patrick (February 15, 2016). "China Box Office Breaks World Record With $548M in One Week". The Hollywood Reporter. Retrieved February 16, 2016. ^ Jonathan Landreth (2010-10-15). "Report: China b.o. to overtake Japan in 2015". The Hollywood Reporter. Retrieved 2012-07-07. ^ a b c d e f g h i j Bai Shi (Beijing Review) (9 February 2014). "Hollywood Takes a Hit". english.entgroup.cn. EntGroup Inc. Retrieved 14 February 2014. ^ a b c "Domestic films' share of box office in Australia and selected other countries, 2000–2009". screenaustralia.gov.au. Screen Australia. Retrieved 14 February 2014. ^ a b c d e f g "Table 11: Exhibition - Admissions & Gross Box Office (GBO)". UNESCO Institute for Statistics. Retrieved 14 February 2014. ^ a b c d e "Top 20 countries by number of cinema admissions, 2005–2010". screenaustralia.gov.au. Screen Australia. Archived from the original on 12 February 2014. Retrieved 14 February 2014. ^ a b c d e f "Top 20 countries ranked by number of cinema screens, 2005–2010". screenaustralia.gov.au. Screen Australia. Retrieved 14 February 2014. ^ a b c d e f "Table 8: Cinema Infrastructure - Capacity". UNESCO Institute for Statistics. Retrieved 14 February 2014. ^ Patrick Frater (2013-01-10). "China BO exceeds RMB17 billion". Film Business Asia. Archived from the original on 2013-01-15. Retrieved 2014-02-14. ^ a b Patrick Frater (January 17, 2014). "China Adds 5,000 Cinema Screens in 2013". variety.com. Retrieved January 17, 2014. ^ "China Box Office: Jackie Chan's 'Police Story 2013' Tops Chart Dominated by Local Fare". The Hollywood Reporter. 2014-01-07. ^ a b c d Patrick Frater (January 4, 2015). "China Surges 36% in Total Box Office Revenue". Variety. Retrieved March 19, 2015. ^ a b c d Variety Staff (December 31, 2015). "China Box Office Growth at 49% as Total Hits $6.78 Billion". Variety. Retrieved January 1, 2016. ^ a b c Frater, Patrick (2018-01-01). "China Box Office Expands by $2 Billion to Hit $8.6 Billion in 2017". Variety. Retrieved 2018-05-06. ^ Patrick Frater (April 9, 2015). "Chinese Media Stocks Stage Major Rally in U.S. and Asian Markets". variety.com. Retrieved April 14, 2015. Bordwell, David, Kristin Thompson (2010). Film history : an introduction (3rd ed.). New York, NY: McGraw-Hill Higher Education. ISBN 978-0073386133. Rey Chow, Primitive Passions: Visuality, Sexuality, Ethnography, and Contemporary Chinese Cinema, Columbia University Press 1995. Cheng, Jim, Annotated Bibliography For Chinese Film Studies, Hong Kong University Press 2004. Shuqin Cui, Women Through the Lens: Gender and Nation in a Century of Chinese Cinema, University of Hawaii Press 2003. Dai Jinhua, Cinema and Desire: Feminist Marxism and Cultural Politics in the Work of Dai Jinhua, eds. Jing Wang and Tani E. Barlow. London: Verso 2002. Rolf Giesen (2015). Chinese Animation: A History and Filmography, 1922-2012. Illustrated by Bryn Barnard. McFarland. ISBN 978-1476615523. Retrieved May 17, 2014. Hu, Lindan (2017). "Rescuing female desire from revolutionary history: Chinese women's cinema in the 1980s". Asian Journal of Women's Studies. 23 (1): 49–65. doi:10.1080/12259276.2017.1279890. Harry H. Kuoshu, Celluloid China: Cinematic Encounters with Culture and Society, Southern Illinois University Press 2002 - introduction, discusses 15 films at length. Jay Leyda, Dianying, MIT Press, 1972. Laikwan Pang, Building a New China in Cinema: The Chinese Left-Wing Cinema Movement, 1932-1937, Rowman & Littlefield Pub Inc 2002. Quiquemelle, Marie-Claire; Passek, Jean-Loup, eds. (1985). Le Cinéma chinois. Paris: Centre national d'art et de culture Georges Pompidou. ISBN 9782858502639. OCLC 11965661. Zhen Ni, Chris Berry, Memoirs From The Beijing Film Academy, Duke University Press 2002. Semsel, George, ed. "Chinese Film: The State of the Art in the People's Republic", Praeger, 1987. Semsel, George, Xia Hong, and Hou Jianping, eds. Chinese Film Theory: A Guide to the New Era", Praeger, 1990. Semsel, George, Chen Xihe, and Xia Hong, eds. Film in Contemporary China: Critical Debates, 1979-1989", Praeger, 1993. Gary G. Xu, Sinascape: Contemporary Chinese Cinema, Rowman & Littlefield, 2007. Yingjin Zhang, Chinese National Cinema (National Cinemas Series. ), Routledge 2004 - general introduction. Yingjin Zhang (Author), Zhiwei Xiao (Author, Editor), Encyclopedia of Chinese Film, Routledge, 1998. Ying Zhu, "Chinese Cinema during the Era of Reform: the Ingenuity of the System", Westport, CT: Praeger, 2003. Wang, Lingzhen. Chinese Women's Cinema: Transnational Contexts. Columbia University Press, August 13, 2013. ISBN 0231527446, 9780231527446. Wikimedia Commons has media related to Cinema of China. This page was last edited on 14 March 2019, at 08:47 (UTC).